The deposit for 1 pet is $300.00. The deposit for 2 pets is $450.00. There is a monthly pet fee of $20.00. Welcome home to The Pines at Carolina Place in beautiful Pineville, North Carolina. Our beautiful apartment home community is located in the heart of Pineville in Mecklenburg County just off I-485. With easy access to local parks, fine dining, great shopping, and entertainment hot spots, The Pines at Carolina Place is your stepping stone to fun and excitement in Pineville. 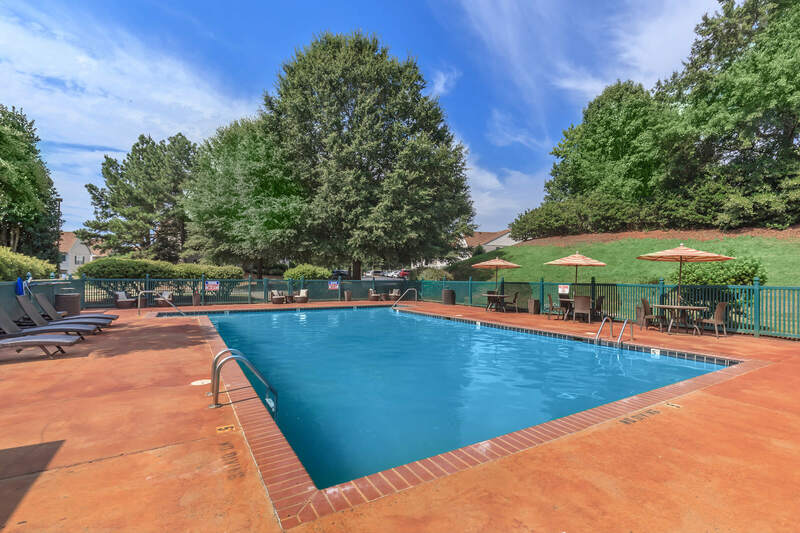 At The Pines at Carolina Place, we’ve considered all your needs. Our spacious and inviting apartment homes were designed with you in mind. Whether you choose The Crescent, The Carolinian or The Piedmont, there’s something for everyone at The Pines at Carolina Place. Our great apartment amenities include disability access, some paid utilities, pantry, walk-in closet, in-unit washer/dryer, and so much more! The Pines at Carolina Place offers residents a lifestyle of comfort and convenience. Great apartment home living doesn’t stop when you exit your front door. That’s why we’ve crafted our beautiful community to enhance your lifestyle. We are proud to feature beautifully manicured landscapes, shimmering swimming pool, state-of-the-art fitness center, business center and clubhouse, as well as easy access to freeways and shopping to ensure that our residents have first-rate amenities. Our commitment to your comfort and quality of life is second to none. Visit us today and see what makes The Pines at Carolina Place the best-kept secret in Pineville, North Carolina.